"I am writing to you Jane to say thank you for everything. Casa de los Mosaicos was the right choice. We had a wonderful time. The house was very pretty, spacious and super comfortable. The property manager Andi was a dear, she helped us with everything and made us feel like we were in our own home. She even bought a hammock at my request and installed it for us so I had the best sleep for a couple of nights in it! Merida is phenomenal and we were very sad to return to Monterrey. Thank you once again, best wishes!" "I just want to let you know that my family and I have vacated your wonderful place in Merida and returned to snowy New England. We had a grand time--your place was exactly what we had hoped--good location and with a garage, clean, very attractive, well equipped, perfect for our number of five, and Andrea was very helpful. (As you had also been.)" "We enjoyed our stay in Merida and in your house, It's in a PERFECT location which made it easy to walk everywhere in the downtown area." "Just a short note to let you know that we had a great time in your wonderful jardin azul. The house was impeccably cleaned, great flowers on the table, your manager a terrific organizer. Congratulations on the house. It is a great place of calm." "Thank you so much for your kind hospitality. We very much enjoyed our stay at Casa Mosaicos. The house is lovely and we had a great time there. Please convey our appreciation to your staff, and we hope we get the opportunity to visit the house again sometime." 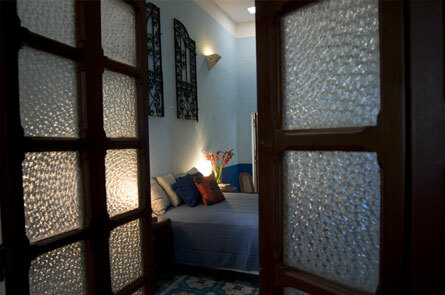 "I wanted to drop you a note to let you know that we enjoyed our stay at your Merida home. Your manager had everything all set for us and was very pleasant to deal with. The location was great." "Just to say we had a lovely time at your house - you've done such a wonderful job, everything was there for one's comfort, nothing was missing, and the 'fengshui' was terrific. you have thought of every detail and the seating areas are just wonderful. I love the square area of the house compared to the longer homes in Merida." "I just wanted to say how much we are enjoying your lovely house which is even more charming than the web site indicates, not an experience I often find. I spent quite a bit of time here a few years ago when I had a house in Progreso and I loved it then and love it now. And your house had quite a bit to do with that." "I want to thank you for allowing us to enjoy your home. Everything was great when we arrived. Andrea’s daughter was there and showed us the basic stuff for the house. And got our computer up and running on the internet. All of the provisions we asked for were there. We loved the house. It was perfectly clean. And there were (almost) no bugs. Bonus. We had hot water on demand – which we normally don’t get. And the shower was great. And the HUGE bath tub. Better than any of the hotels we have stayed in. Everything actually worked. We aren’t used to that. ;);). You have taken such care in creating a wonderful home. It must have taken a lot of time and energy to find just the right furniture and accessories. Of all the places we have stayed, yours is the only one we would rent again." "Merida was great! Mario and I enjoyed our stay in Merida, the house is very special. We found it very “warm” and welcoming. You have done a great job with decoration and the services in the kitchen are excellent."